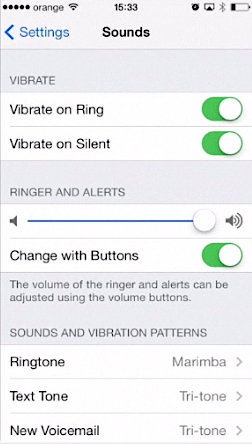 In this tutorial you will learn how to change default ringtone on iPhone running on iOS 7. Step 1. 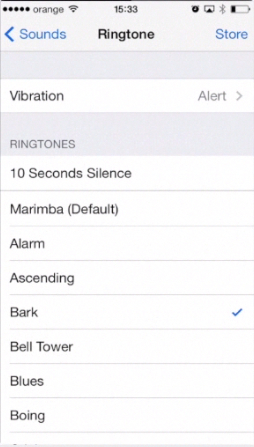 Each iPhone operating on iOS 7 has its default ringtone. Your iPhone factory settings include a default ringtone. Fun! But once you’ve got enough of it and want to change it to a new default ringtone, here is how to do it. Step 2. Tap “Settings” app and then scroll down a bit and tap “Sounds”. Here’s the menu that controls all sound settings of your iPhone: from the volume of your ringer to sounds of all alerts. Step 3. What we need is “Ringtone”. Tap it to enter the list of different ringtones. When you tap on any of them, it plays a preview of that ringtone. Step 4. When you have found the ringtone that you like it will stay marked with a tick after you’ve played it. The new ringtone is set. Tap, “Sounds” and then “Settings” to return to main “Settings” menu, then tap the Home button to invoke the home screen. Step 5. Now, when a person calls us, we hear the new ringtone. 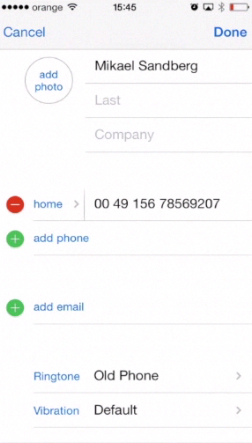 Besides the default ringtone, you can assign special ringtones to people from your contacts. Tap the “Contacts” app and tap the contact of your choice from contact list. 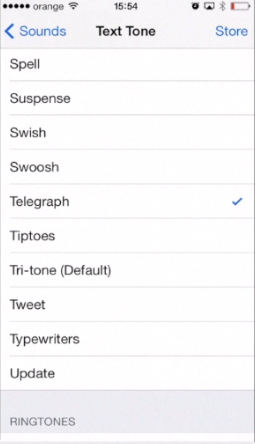 Tap “Edit” and tap “Default” near the “Ringtone”. It will invoke already familiar list of ringtones. Tap to choose the ringtone and tap “Done”. Now, when this person calls you, a specially assigned ringtone will play. If any other people call you, your new default ringtone will play. Step 6. Last but not least, you can also assign different SMS ringtones. Go back to “Sounds” menu and tap “Text Tone”. Instead of default factory ringtone, let’s choose something spicier. Result: Great! Now you know how to change default ringtone, default SMS tone and even more!